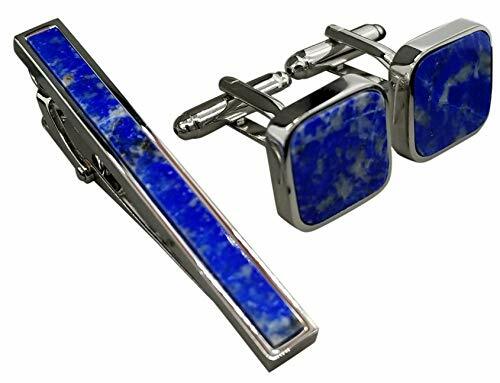 Stainless Steel Tie Bar & Cufflinks with Real Lapis Lazuli Stone. This set is perfect for any occasional. 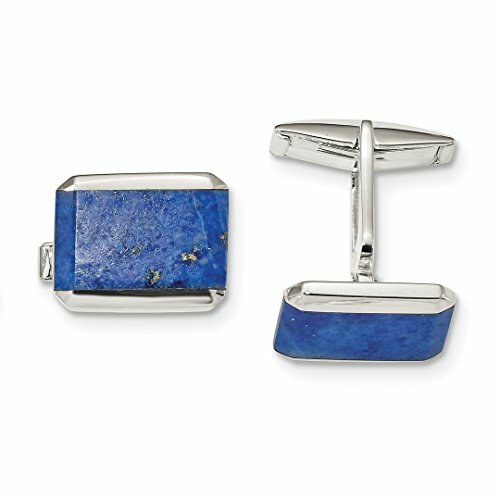 Make your style unique with this beautiful Lapis Lazuli Stone tie clip. 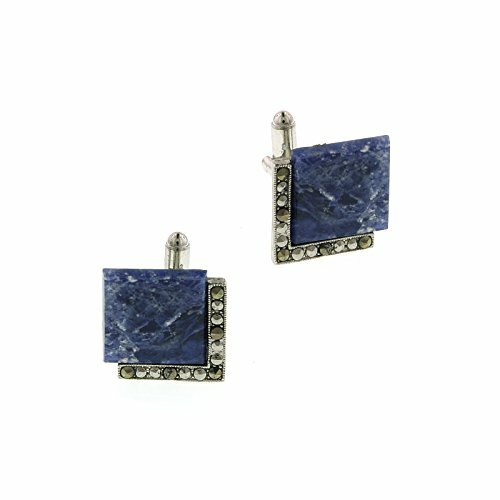 ICECARATS DESIGNER JEWELRY 925 STERLING SILVER RECTANGLE LAPIS CUFF LINKS MENS CUFFLINKSMaterial Purity : 925Finish : PolishedStone Color 1 : BlueStone Quantity 1 : 2Length : 24.1 mmCharm/Element Length : 13.1 mmCharm/Element Width : 16.9 mmFeature : SolidManufacturing Process : CastedMaterial : Sterling SilverStone Size 1 : mmWidth : 17.2 mmAccessory Type : Cuff LinksProduct Type : AccessorySold By Unit : PairGender : Men'sMaterial Color : WhiteStone Creation Method 1 : NaturalStone Type (Other) 1 : LapisManufacturing Process 2 : Die StruckOUR MISSION & BELIEFSOur mission at IceCarats is to celebrate our customers and enhance their lives journey, honoring life's memorable occasions and enhancing the beauty of everyday through our extensive collection of quality jewelry.THE ICECARATS STORY - CRAFTSMANSHIP...QUALITY...VALUEJewelry is our passion - IceCarats is devoted to craftsmanship, quality, and value. Each piece hand stamped for authenticityMADE WITH LOVE FROM US TO YOU - QUALITY WITHOUT COMPROMISEWhen you purchase jewelry from the IceCarats collection, you buy with confidence - Lifetime Warranty and 30-Day Returns .ELEGANT GIFT PACKAGING - JUST ANOTHER REASON TO SAY YES!Receive Elegant Gift Packing On Every Order with IceCarats! 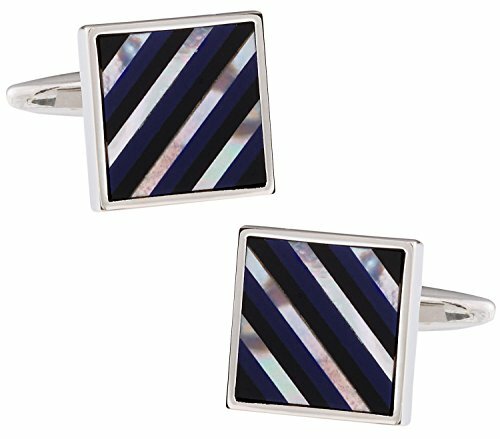 Italian-inspired square mother of pearl, onyx, and blue lapis striped cufflinks set silver-tone mount. Conservative enough for the office, but far from boring. Custom design features a delicately inlaid stripes of alternating MOP, onyx, and lapis framed silver-tone. These are an exceptional complement to blue, white, and many other French cuff shirts. 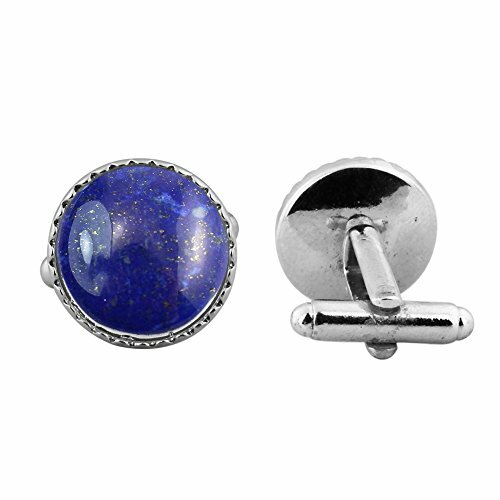 ICECARATS DESIGNER JEWELRY 925 STERLING SILVER CABOCHON LAPIS CUFF LINKS MENS CUFFLINKSMaterial Purity : 925Finish : PolishedStone Color 1 : BlueStone Quantity 1 : 2Length : 29 mmStone Setting 1 : Bezel SetCharm/Element Length : 19.5 mmCharm/Element Width : 15 mmFeature : SolidManufacturing Process : CastedMaterial : Sterling SilverStone Shape 1 : OvalStone Size 1 : mmWidth : 19.5 mmAccessory Type : Cuff LinksProduct Type : AccessorySold By Unit : PairGender : Men'sMaterial Color : WhiteStone Creation Method 1 : NaturalStone Type (Other) 1 : LapisManufacturing Process 2 : Die StruckOUR MISSION & BELIEFSOur mission at IceCarats is to celebrate our customers and enhance their lives journey, honoring life's memorable occasions and enhancing the beauty of everyday through our extensive collection of quality jewelry.THE ICECARATS STORY - CRAFTSMANSHIP...QUALITY...VALUEJewelry is our passion - IceCarats is devoted to craftsmanship, quality, and value. Each piece hand stamped for authenticityMADE WITH LOVE FROM US TO YOU - QUALITY WITHOUT COMPROMISEWhen you purchase jewelry from the IceCarats collection, you buy with confidence - Lifetime Warranty and 30-Day Returns .ELEGANT GIFT PACKAGING - JUST ANOTHER REASON TO SAY YES!Receive Elegant Gift Packing On Every Order with IceCarats! 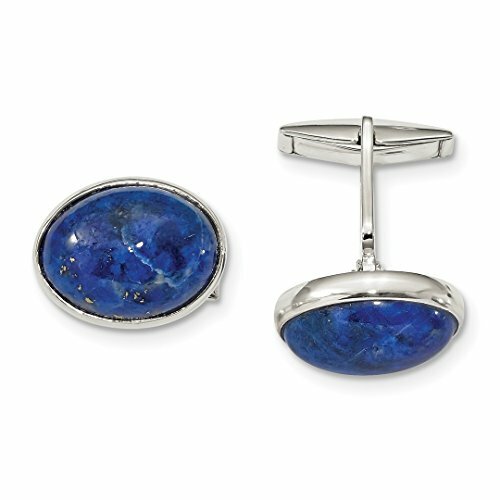 Unique offset square semi-precious sodalite cuff links accented with hematite stones in a silver setting. Perfect to add subtle charm to men's dress shirts! Comes in a beautiful box with a silver 1928 logo print. 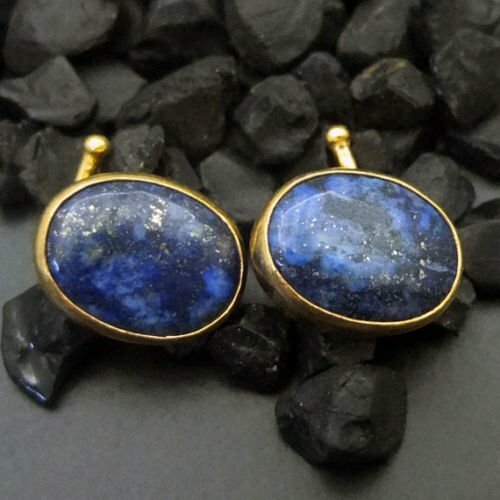 Want more Lapis Cufflinks similar ideas? Try to explore these searches: Homestyles Corner Desk, Kohler Piston Rings, and Lamp Iron Floor Lamp.